Spaceships & Spreadsheets: What does NRDS really mean? I thought I'd share this conversation with the public, because it made me laugh. Names are redacted to protect the innocent. Background: Two of our pilots VikingOne and VikingTwo were out in lowsec and killed a Pilgrim that had lit a cyno. [01:46:31] Mr Pubbie > Am I or Pubbie2 set red to you? 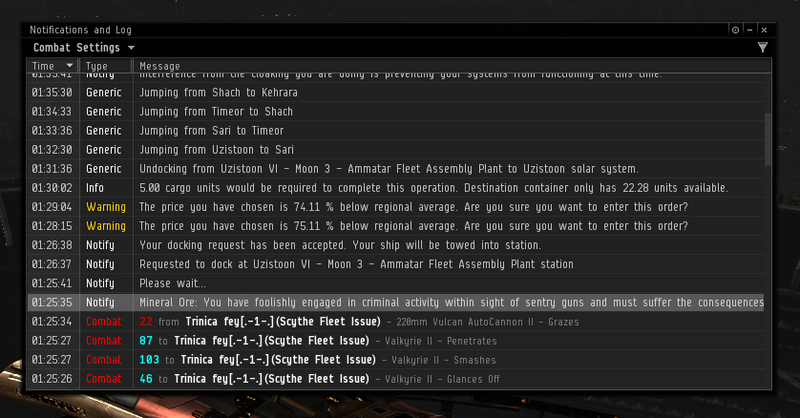 [01:47:16] Mr Pubbie > Just wanted to say that VikingOne and VikingTwo broke your posted NRDS policy and agressed me on a station wihle I was cynoing a friend in. [01:48:48] Mr Viking > Aha! i see, do you have any notifications/log of them agressing? [01:49:07] Mr Viking > Also, do you have any suggest punishment for them? [01:50:05] Mr Pubbie > While I cannot suggest punishment, I do have a combat log. [01:51:58] Mr Pubbie > I did return fire, because I was agressed, so you will see Valkyries on the log as well. [01:53:26] Mr Pubbie > VikingOne's Falcon did not show on the logs because I was never jammed, but he was on field as well. [01:53:47] Mr Pubbie > No, I do not. I have no bounty nor do I have a warrant. [01:56:00] Mr Pubbie > That is my notification log. [01:59:12] Mr Pubbie > In your bio, it states that you are a member of NRDS. [02:00:02] Mr Pubbie > http://imgur.com/nBPfi8D This is the other half of the combat log. [02:01:20] Mr Viking > yeah, Northern Rover Dog Society, its a society or the protection of a rare breed of snow dogs. but i take it thats not wat it means in this universe? [02:02:19] Mr Pubbie > NRDS in this universe is generally taken to mean, "Not Red Don't Shoot." in the rules of engagement, if you are not marked as an enemy, you do not agress unless you are foes. [02:07:24] Mr Pubbie > It's appreciated. Normally I wouldn't complain, as I am capable of defending myself in these matters and neutralized the threat his ship generated to my own, but from what I understood of your rules of engagement, they breached your policy. [02:07:38] Mr Pubbie > I simply wished to bring their error to your attention. [02:08:31] Mr Pubbie > Thank you for taking the time to sort this issue out. Hopefully our next meeting is more jobial. Mr Pubbie reacted in adequation with NRDS spirit, talking first and providing proof. He acted in an honored adult way. Mr Vicking acted as a scammer, making his two corp members getting easy kills while acting as criminals and violating their own bio. They basically acted as NBSI children.